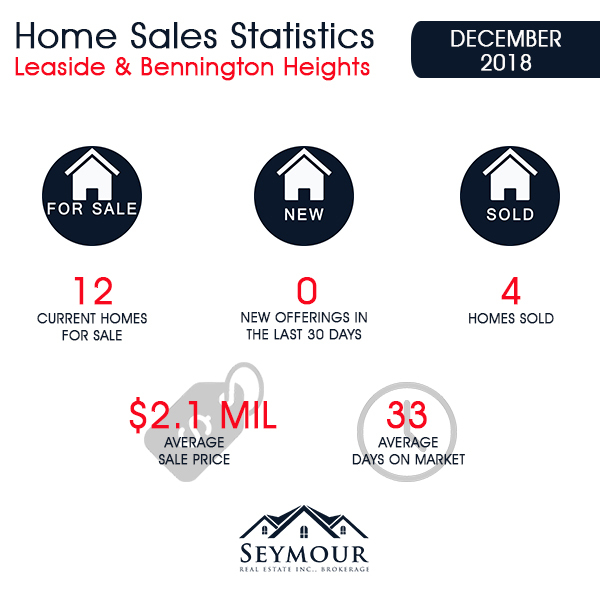 December 2018 saw four homes change hands in Leaside & Bennington Heights, marking a 33.3% increase over the three sales that took place in December 2017. 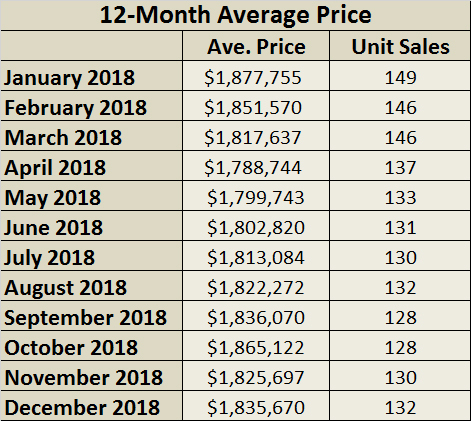 All four of this year’s December transactions involved detached homes, which elicited average sale prices of $2,068,184 for an 18.6% increase over last year’s peak of $1,743,333. 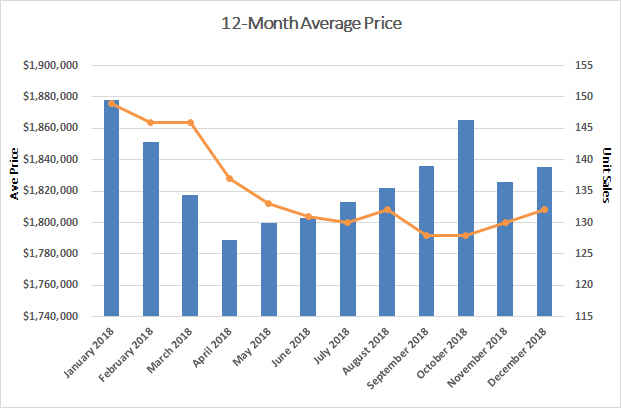 The average Leaside home lasted 33 days on the market last month, with the fastest sale occurring two days after listing and the slowest taking 71 days to complete. None of the four December 2018 properties sold at or above their listed prices. Last month’s most valuable Leaside transaction featured a detached 4-bedroom, 5-bathroom home on a 29.17' x 135' Macnaughton Road lot with a private driveway and garage. It sold for $2.675 million or 96% of the original listing price. This was followed by a home on Randolph Road, which changed hands for $2.32 million. As of January 2, 2018, the Leaside (C11) area features 12 homes for sale, with prices ranging from $1.149 million for a semi-detached home on Eglinton Avenue East (41 days on the market) to $4.188 million for a spectacular detached home on Killdeer Crescent (83 days on the market). 2018 brought 132 home sales in Leaside & Bennington Heights, down from 154 transactions in 2017. 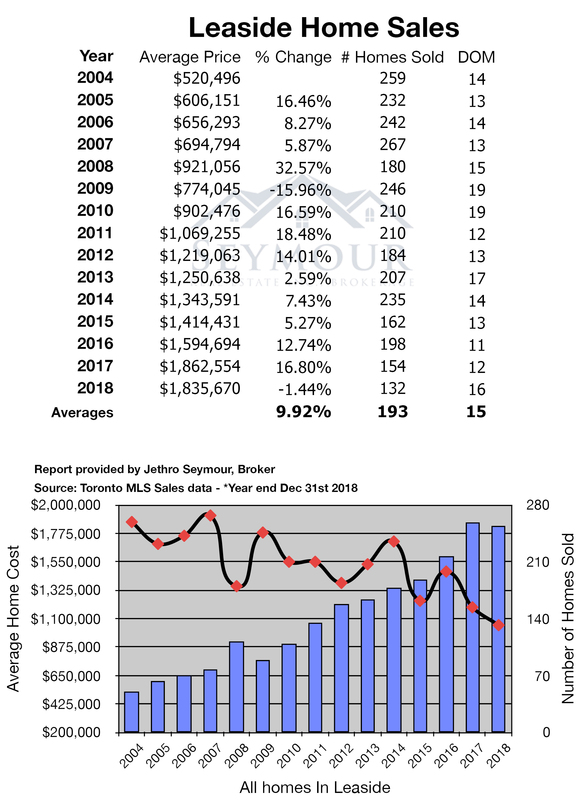 The 2018 sales returned an average of 1.4% less in the way of dollar value, with mean transaction values falling from $1,862,554 to $1,835,670. 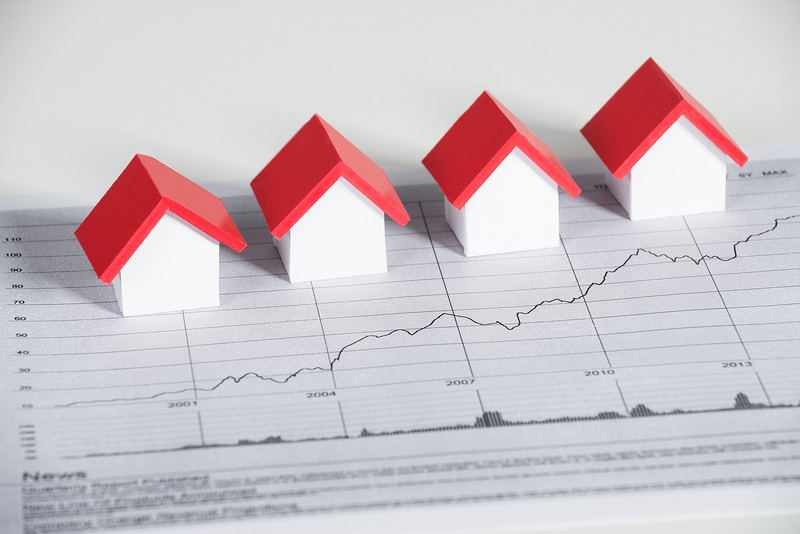 The value declines affected both detached and semi-detached properties, with detached homes seeing a 2.3% slip to $2,002,318 and semi-detached properties dropping 0.3% to $1,228,786. Entry into the Leaside market now requires buyers to spend $1 million for a semi-detached home and at least $1.2 million for a detached home. Buyers continue to look for homes in the coveted midtown area while low inventory persists as a key catalyst of competitive bidding. Consider me your Leaside & Bennington Heights real estate expert and information resource. When it’s time to move, I’m here to help with insightful strategies, expert negotiation skills, and results-oriented marketing plans. Jethro Seymour is one of the Top Leaside Real Estate Brokers and a midtown Toronto residential specialist with over 20 years of sales experience in real estate, marketing, construction and publishing. He has helped many families find homes in Toronto’s great neighbourhoods, and has extensive knowledge of local markets, new home construction, resale home sales, and the condo market. Living in midtown Toronto, Jethro previews many of the homes that come to market for his clients and inventory knowledge. Jethro specializes in Midtown, Davisville Village and Leaside neighbourhoods.